we are engaged in offering a wide and quality Powder Free Gloves.We are reckoned amongst the clients for offering a quality tested array of Surgical Powder Free Gloves. 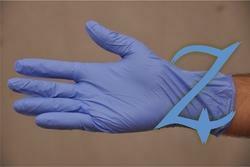 Acknowledged amongst one of the well-recognized business firms, we have been involved in presenting a wide array of Thick Nitrile Examination Gloves to our customers. These presented gloves are precisely examined on different constraints to ensure their superiority during delivery at the end of our customers. 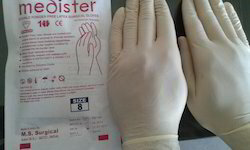 The Latex Powder Free Examination Gloves we offer are recommended by the clients for their availability in various sizes. The Surgical Powdered Gloves offered by us is made by using quality material which is sourced from leading vendors of the industry. Besides, one can get these products at reasonable rates. The performance of Synthetic Stretch Vinyl Gloves next to latex Gloves, it’s more comfortable and stretch than regular vinyl gloves. Its ideal for use for food industry, medical , dental , healthcare, laboratory and pharmaceutical.